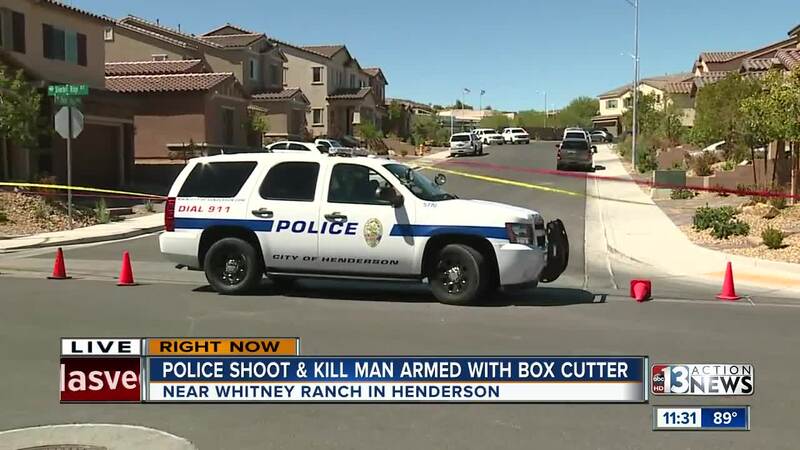 A man is dead after he was shot by Henderson police Thursday morning. After receiving a 911 call, Henderson police responded to the 500 block of Point Vista Avenue, near Galleria Drive and Patrick Lane, around 4:15 a.m. When they arrived, a woman was screaming inside the residence. Police entered the residence and found a man armed with a box cutter in a closet. 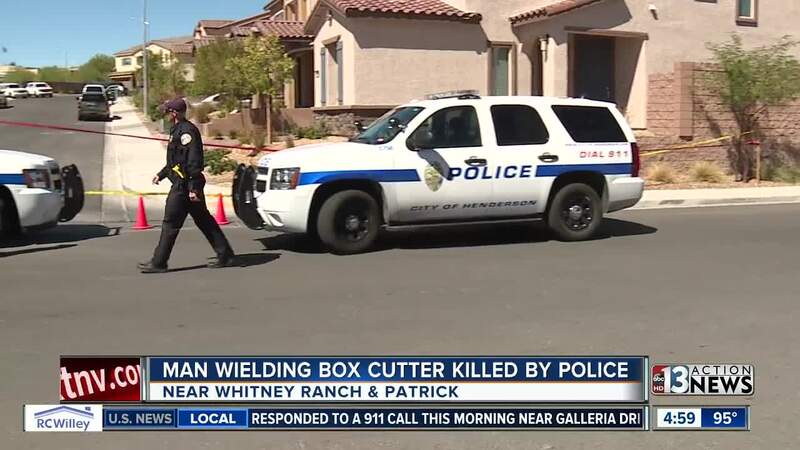 Police issued commands for the man to drop the box cutter but he did not follow their commands. The woman was transported to Sunrise Hospital with non-life-threatening injuries, believed to be from the box cutter. This is the second shooting involving the Henderson Police Department this year. The other shooting happened on Aug. 12.